Since social media is still so new, it can be hard to find good statistics on the return of investment, and that makes some business owners wary about sinking time and money into the endeavor. However, there are countless stories of very successful social marketing campaigns. Whether reviewing the small local pizza company in Chicago who gets over 50 percent of their business from Twitter, or a presidential campaign that earns large donations via Facebook, it is hard to dismiss the new strategies. Using social media effectively, whether one is focusing on Facebook, Twitter, YouTube, LinkedIn, a blog or other applications, is like stoking a fire; it takes watching and tending to ignite a blaze. Most experts and business owners who use social media agree that the returns of social networking are well worth the effort – but only if done right. One proponent of social networking is Kim Yuhl, owner of Fizz Bath Shop located on Aspen Avenue in downtown Flagstaff. Kim has doubled her profits in the last year, and she attributes a great deal of her success to social networking. With 9000 Twitter followers, well over 1000 Facebook fans, a successful WordPress blog and an active Google+ page, Yuhl is no slouch when it comes to social media. Mike Russell of MikerDzign freelance graphic design agrees. “Social Media is a great way to reach out to the community, but you need to know the audience you want and develop an authentic voice to speak to them,” says Russell. 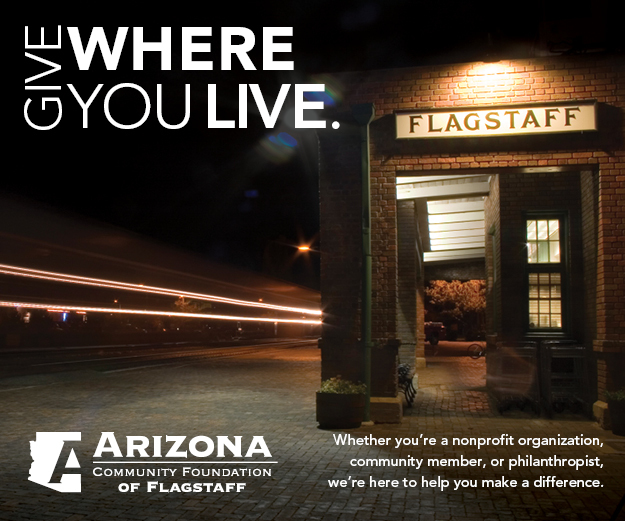 “Share information that’s relevant to your audience, and they will listen.” Russell’s Twitter strategy is to tweet about things that will interest his audience and customer base, namely Flagstaff news and graphic design. In a world where consumers are often inundated with the impersonal messages of traditional advertising, the interactive personal voice of social media can be refreshing. Customers want to believe someone is listening to them, not just selling to them. Although social media is relatively new, wanting to know and trust the people with whom we do business is as old as commerce. Some believe social media helps business owners create that type of personal/business relationship on a larger scale, outside the confines of geography. Many folks who are new to social networking can find the many choices overwhelming. Yuhl and Russell agree that it is best to just get started wherever you feel most comfortable. It may also be wise to spend a bit of time researching each application, and visit the sites of businesses you like or are similar to your own to get inspired. Many believe Facebook is one of the best places to start, and it may be useful to note that there are now over 250 million Facebook members. “A Facebook Fan page will bring most business owners instant gratification,” says Karen Taylor, owner of New Destiny Marketing in Phoenix. But wherever you do start, these business owners suggest you dive in – but only if you are willing to play the long game. Some small business owners have someone working for them who is a natural candidate to handle social networking on a part-time basis, but others are wary about relinquishing the responsibility. Although social media is social, it’s important to know your limits – and what personal information you’d rather not share. “I suggest avoiding politics, rants, and negativity,” says Russell. Experts agree that there are few silver bullets when it comes to social networking, but if you can be consistent, personable, and maintain a strategy without being robotic, it might be one of your best time investments. Social networking might not be a business necessity yet, but it can help any business, particularly a new or small one, stand out from the crowd. Kate Beles is editor of Flagstaff Business News.